Alien Bee: Video: FRINGE:"Here is Peter Bishop" The Producer's Talk! Video: FRINGE:"Here is Peter Bishop" The Producer's Talk! 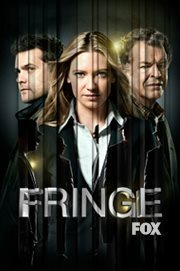 Are you watching FRINGE tonight? Peter Bishop (Joshua Jackson) is back! Watch an all-new episodes of FRINGE Friday (tonight) at 9/8c, on FOX.